I’ve been traveling all of my professional life. 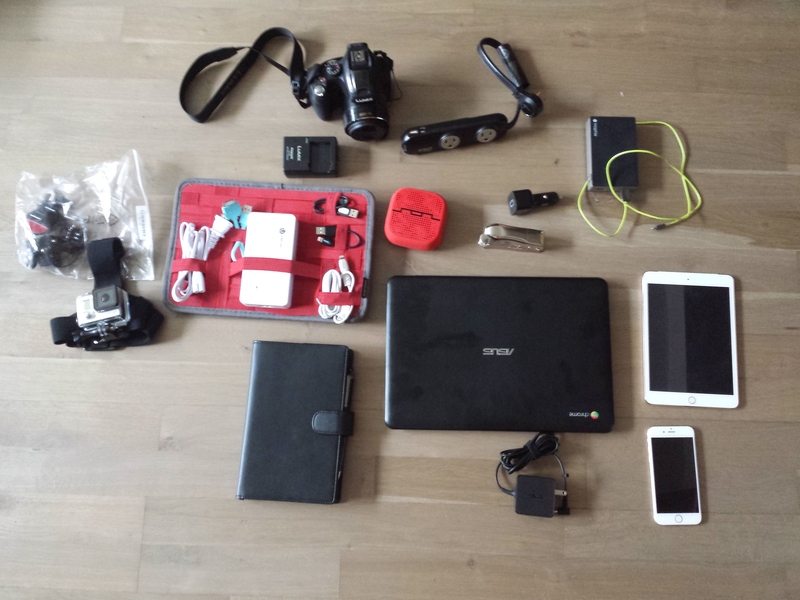 As the years have passed, so have the tools I use when I travel. USB sticks (I just mail or cloud the contents). Others have been obviated by technology. I no longer carry Ethernet cables or the router to provide WiFi for me. 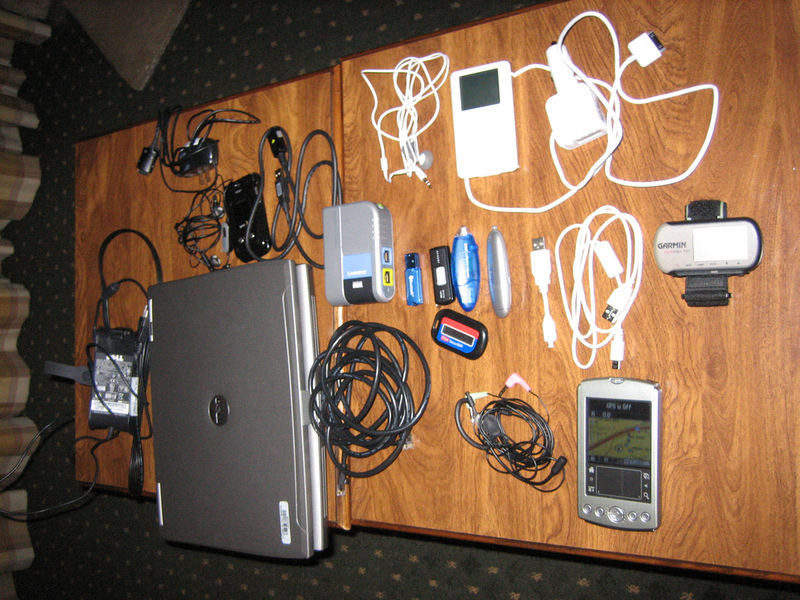 A bunch of cables and accessories stored in a GridIt. A power strip. Great for sharing power with others at airports. A nano SIM cutter. I use this only on international trips, but it’s small enough to leave in my travel bag. Car power adapter. Always be charging! A 5-port USB charger. Always be charging! This one has a separate cable to deal with tricky hotel room situations. Massive Mophie. Always be charging! LiveScribe 3. It’s the real deal for note taking and syncs great with Evernote. An Asus Chromebook. Unlike my MacBook Air, I won’t be heartbroken if I lose it at security. I’d probably ditch the Chromebook, but Google gives you 12 free gogo passes with each Chromebook. That alone is worth more than the cost of the Chromebook. Having it lets me stay productive in the air. Next Post redesign | ux: How would you improve this Google Maps experience?